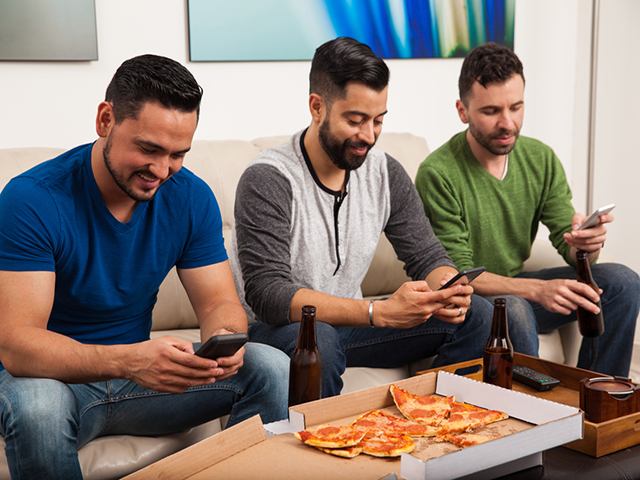 New data has revealed users did more than watch TV during Super Bowl 50, as the 'second screen' trend saw users interact with a variety of apps on their mobile device during the game. Specifically, Localytics, an analytics and marketing platform for mobile and Web apps, found social networking, music and entertainment apps were the most popular app categories during Super Bowl 50. Social networking apps had an average of 3.21 app launches during the three and a half hours of the game, as users engaged with social apps to share their opinions about the game, or read comments from other users. Music and entertainment apps followed with an average of 2.4 and 2.22 app launches during the game, respectively. Localytics found app usage peaked at 7 p.m., at the actual start of the game, when the average session length in apps was 8.7 minutes. Localytics attributed this to users checking their phones until the game actually began, and to users commenting on Lady Gaga‘s national anthem performance. Elsewhere, mobile advertising platform Leadbolt found there was a 27.5 percent average increase in app engagement by U.S. mobile users in casual games and VPN (virtual private network) apps during the big game, when compared to usage on an average weekend. Mobile apps help fans connect on social media, re-watch the televised ads, look-up game stats and info about the teams and players, as well as drive interest in the products that are advertised. Of course they’re going to use apps and engage in brand-related content while watching television. If not during the game, then shortly afterward. Readers: Did you use your mobile device while watching this year’s Super Bowl?